Asbestos was used widely in the construction industry for many, many years, but we know now that this was not wise. As asbestos-containing building materials age and break down, tiny asbestos fibers can escape, lodge in the lungs, and cause serious health problems including cancer. Naturally we want to prevent this through asbestos abatement and remediation. In order to determine if remediation is necessary and/or prove it is being done properly, you will need quality asbestos testing in Los Angeles County from an expert environmental consulting company like H2 Environmental. We provide testing before, during, and after asbestos remediation projects to ensure safety. The first step in an asbestos remediation project is to determine whether or not asbestos-containing materials are present. 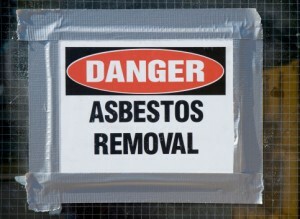 H2 Environmental can assist with this process by providing asbestos testing for Los Angeles County. Our expert techs will visually inspect your property and take samples of any suspicious materials that may contain asbestos. We will send these samples to a qualified lab for testing. If the material tests positive for asbestos, the next step is to determine if it poses an active threat. Asbestos-containing materials are generally not dangerous so long as they are intact. But if they are broken, crumbling, or otherwise damaged—or may become damaged in the course of a remodeling project—asbestos fibers could escape from the material. In order to eliminate the risk of contamination and associated health risks, you will need to get the material removed. During the asbestos remediation process, H2 Environmental will conduct ongoing air monitoring activities to test for any traces of asbestos in the air that is leaving the work zone. By doing this periodic asbestos air testing in Los Angeles County, we can prove that the sealed work zone we created around the asbestos-containing material is serving its purpose and preventing contamination from traveling into other parts of the property during the removal process. Because asbestos fibers are invisible to the naked eye, the best way to prove that an area that once contained asbestos is now free of all traces of this hazardous material is with asbestos air testing in Los Angeles County. H2 Environmental can conduct this final testing to give you peace of mind about the safety of your property. We can also use the results of the testing to assist you in getting any final official clearances that may be necessary for the reoccupancy of your property.